How many lotteries are there in a year? Platinum Class Lottery is run bi-monthly, six times a year. You can buy tickets online or call our hotline on 1800 968 946 (1800 YOU WIN) between 9am and 5pm AEST Monday to Friday. You can also fill out the Ticket Order Form in the lottery brochure and mail back to Act for Kids, Reply Paid 83995, GCMC QLD 9726. You will receive your ticket(s) within seven business days after date of purchase. Depending on your method of purchase, we will either mail or email your ticket(s) to you. Please ensure you provide us with the correct postal address and/or email address. If you don’t receive a copy of your ticket(s), rest assure that your ticket(s) will still be included in the draw. How is the lottery draw conducted? The final draws are conducted at Act for Kids Level 1 9 Gardner Close, Milton QLD 4064 under the Queensland and Victoria Government License Regulation. A random ticket is drawn electronically using the raffle machine operated by an Act for Kids official. All draws are conducted in the presence of more than one Act for Kids official who will be a non-ticket holder and witnessed by auditors. All final draws are open to the public for viewing. How would I know if I’ve won? The First Prize and Platinum Reserve Prize winners will receive a call from us shortly after the draw is conducted on the specified date. An official notification letter will be sent to you via email and registered post to the address you provided at the time of ticket purchase. How can I pick up the Mercedes-Benz if I win? Mercedes-Benz Brisbane is the official Mercedes-Benz dealer for the prize vehicle and the car will be delivered ex Brisbane. If you live outside of Brisbane, we will provide up to $2,500 to cover the cost of motor vehicle insurance, accommodation and flights to pick up the vehicle, or arrange for it to be transported to you directly. What is Platinum Bullion and what can I do with it? If I am one of the 10 winners of the Platinum Reserve Bonus Tickets Draw, when and how will I receive my 20 bonus free tickets? Winners of the Platinum Reserve Bonus Tickets will be published on this website. If you’re one of the 10 winners, your bonus free tickets will be mailed to your postal address within seven business days after the date of each draw. How can I become a Platinum Reserve Member? You can call us on 1800 968 946, sign up online or fill in your details on the Ticket Order Form and return it to Act for Kids Reply Paid 83995, GCMC QLD 9726. What are the benefits of being Platinum Reserve Member? As a Platinum Reserve Member, you have additional chances to win extra prizes in separate draws exclusive to Platinum Reserve Members. You get priority ticket allocation and ticket(s) will be sent to you automatically for every lottery. You’ll never miss a chance to win the First Prize and bonus prizes. – 10 chances to win 20 extra tickets (worth $1,000) in the Platinum Reserve Bonus Ticket Draw conducted mid-lottery. That’s 20 extra chances to win the Mercedes-Benz. 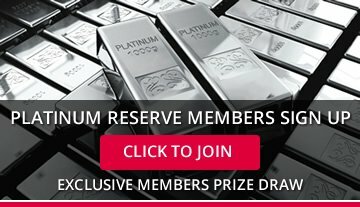 – The chance to win $10,000 Platinum Bullion in the Platinum Reserve Member Draw conducted on the final draw date of each lottery. Can I cancel my Platinum Reserve Membership? Yes, your Platinum Reserve Membership can be cancelled anytime. Please contact us directly to arrange the cancellation. How can I receive information about each lottery? To keep yourself posted on each lottery, you can sign up for alerts on our website or contact us directly for more information. 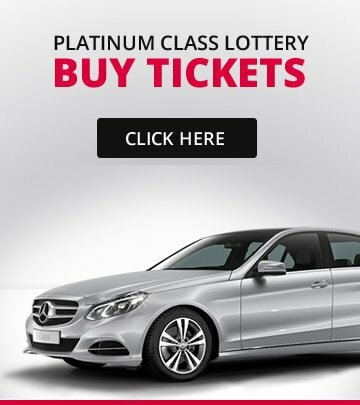 What information will I receive if I subscribe to alerts from Platinum Class Lottery? Once you subscribed to our alerts or purchased tickets, you’ll be included in our Platinum Class Lottery mailing list unless you choose to opt out. We correspond with you via email, mail and/or telephone to keep you up-to-date on each lottery. We’ll inform you when tickets are on sale, update you on prize details and results of each draw. So stay in touch with us! I just need to talk to someone, who can I contact for help about Platinum Class Lottery?